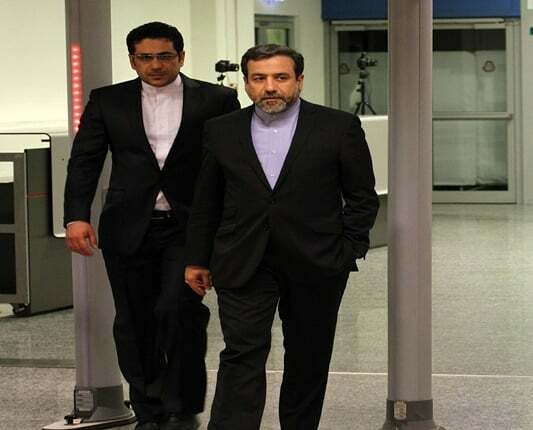 Iran’s Deputy Foreign Minister Seyyed Abbas Araqchi has arrived in Brussels to lead expert talks with the European Union. Araqchi arrived in the Belgian capital on Monday, May 14, heading a delegation of experts from different economic state institutions. Upon arrival, Araqchi met and exchanged views with Secretary General of the European Union External Action Service (EEAS) Helga Schmid. Meetings between Iranian and European experts kicked off on Monday and will run until Tuesday, May 15, before Iranian and European foreign ministers sit down for talks. Araqchi’s trip comes ahead of a visit to Brussels by Iranian Foreign Minister Mohammad Javad Zarif who is to meet with his German, French and British counterparts as well as EU Foreign Policy Chief Federica Mogherini. Zarif will arrive in Brussels on Tuesday as the last leg of his three-nation tour, which earlier took him to Beijing and Moscow. While in China and Russia, the Iranian top diplomat discussed the US withdrawal from the Iran nuclear deal and ways to preserve the 2015 agreement. In the aftermath of Washington’s pullout, Europeans are seeking ways to protect the interests of their firms doing business in Iran and help them escape the brunt of the upcoming US sanctions.